From September 21 through October 2, we’re celebrating DC theatre by partnering with theatreWashington and over 30 DC Metro Area theaters to offer deals and discounts for fantastic shows all over town. If you’re craving a musical, here are a few you can see with exclusive theatreWeek discounts. A hero rises when an oppressed town is subject to a ban on private toilets in Urinetown. A movement- based montage of ’90s hits told through puppetry, song and dance. Be Awesome: A Theatrical Mixtape of the 90s begins September 22 and runs through October 9 at The Writer’s Center. The true story of Frank Abagnale, Jr, this high-energy musical follows the con man as he poses as a pilot, lawyer, and doctor. Catch Me If You Can is running until October 9 at NextStop Theatre. 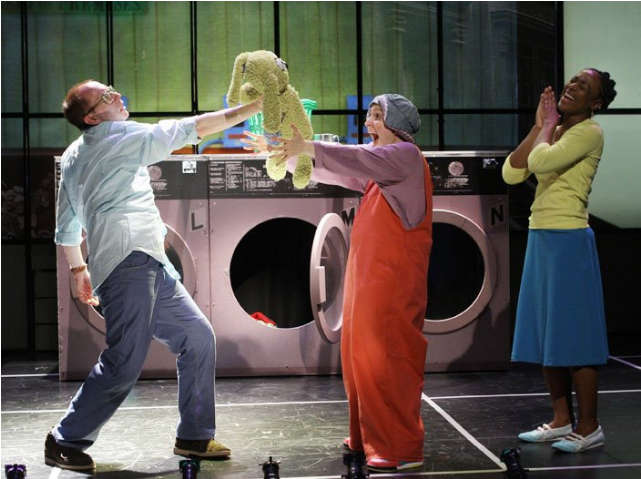 Based on the beloved children’s book, Knuffle Bunny: A Cautionary Tale is a family friendly musical featuring fun, vibrant characters the kids will love. See it at Adventure Theatre MTC from September 23 through October 23. Musicals not your thing? Check out these plays also participating in theatreWeek!